Is The Post a film for this our time? Up to a point, yes. This based-on-a-true story of the struggle between the press and those in power makes a case for how The Post speaks to current events. 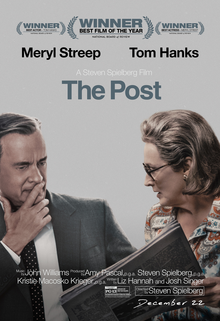 I personally think The Post thinks too highly of itself and its lofty goals, but I cannot fault a film for being well-crafted and strongly acted. The Washington Post is facing economic hardships and the wrath of the Nixon Administration. Part of the hostility comes from how the newspaper not only crashed Julie Nixon's wedding reception, but referred to the First Daughter as 'vanilla'. 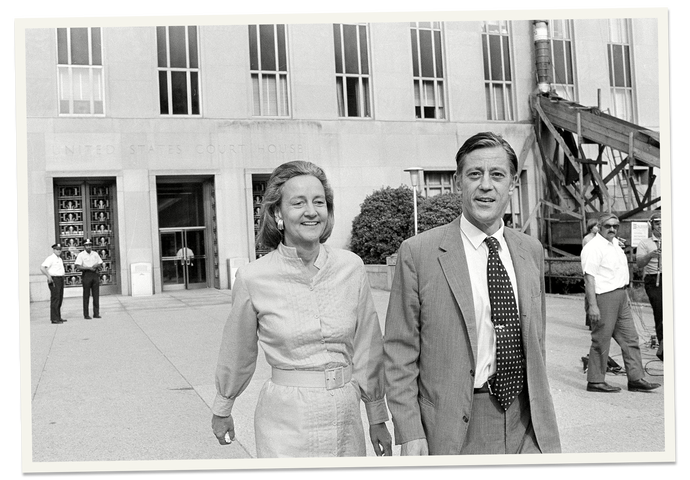 Post editor Ben Bradlee (Tom Hanks) detests Nixon and the Administration's bullying manner, but he also has to deal with Katharine Graham (Meryl Streep), the Post's publisher who is also pretty connected with Washington power brokers, in particular Defense Secretary Robert McNamara (Bruce Greewood). Unbeknownst to both, the Administration is about to face its greatest crisis so far. Daniel Ellsberg (Matthew Rhys), a former journalist himself who became an analyst, has secretly taken a massive study on Vietnam compiled for McNamara which essentially stated that Administrations from Truman to Nixon had lied to the American people about both the course of the war and its ability to win. The Pentagon Papers showed that the government knew Vietnam was a lost cause, but Democratic and Republican administrations kept at it because they simply did not want to go down in history as having lost a war. Bradlee, an old hand in the news business, knows that the rival New York Times has something, but he cannot put his finger on it. It isn't until the Times publishes the first of the Pentagon Papers that he knows what they are up to, and he's furious to have another paper get the scoop. He wants his own hands on the copies, but Graham won't use her friendship with McNamara to make him her 'inside man. Fortunately, another Post employee, Ben Bagdickian (Bob Odenkirk), has an inclining who could be the Times' source: his old friend/coworker, Ellsberg. He manages to track Ellsberg down, and he gives Bagdickian all of the documents. The crisis comes over whether to publish them after the Nixon White House successfully managed to block the Times publishing more of them through the courts. Bradlee is in the publish it and be damned mindset, but Graham is more hesitant, especially since she has just put the Post through an IPO that nets the company much-needed revenue and a lawsuit could not only jeopardize the offering, but put them all in jail. Still coming to terms with being the publisher after the 'accident' that took her husband (who was put in charge of the Post over her by her own father), she wavers and is pressured by her board to at least delay publication. She makes the decision to back Bradlee. As expected, now The Washington Post finds itself in legal limbo, and it takes the Supreme Court to decide the issue. The Court rules 6-3 in the press' favor, and Graham and Bradlee are vindicated. Nixon is enraged at this, and bars The Washington Post from all White House activities. The Post ends with the first moments of the Watergate break-in, the beginning of the end for Richard Nixon and his Presidency. I imagine that The Post figures its less about the events of the past than it is about the present, almost serving as allegory to the war between The Washington Post and the press at large and the Trump Administration. If that is what cowriters Liz Hannah and Josh Singer had in mind, then more power to them. I personally did not get the sense that The Post was presenting itself as a 'truth to power' story, most of the time. At times, however, particularly whenever Hanks' Bradlee was railing against Power stopping or dictating to the press what to write or who should cover them, one could sense that The Post wanted to be something grander and more important. Sometimes this idea gets a bit silly, such as when in the opening of The Post Bradlee is angry about Nixon not allowing a particular Post reporter to cover his daughter's wedding. As he righteously or self-righteously (depending on one's point of view) goes on about how no one, particular those in Power, should dictate who can do the reporting, he won't hear how perhaps in this case that particular Post reporter ridiculing Tricia Nixon could possibly bother the First Family. At this point, I would have told Bradlee, 'pick your battles', but he probably wouldn't hear of it. Sometimes The Post veers into speechifying, and that is something mostly done by Hanks. Now, in terms of performance, I think Hanks did a good job, which he always does. If I were to fault him for anything, it is that I wasn't totally convinced that he felt that personal sense of betrayal when he learns through the Pentagon Papers that his good friend President Kennedy was just as culpable for the disaster in Vietnam as Nixon, whom he hates. As a side note, despite Bradlee's declaration that the days where reporters and politicos could have cocktails together and be chummy with those they cover are over, I find that statement highly dubious if not disingenuous. Far from it, I think. The White House Correspondents Dinner, infamously referred to as 'the Nerd Prom', shows that the political class and the Fourth Estate are still very intertwined. Moreover, far from being professional, dispassionate truth-tellers, the press, including the Washington Post, have become essentially partisan. It goes beyond the Editorial Pages, where a particular point of view is expressed. Television is the worst in this aspect. FOX News is a right-wing outlet, and MSNBC is its left-wing equivalent, both incapable of any actual reporting and obsessed with campaigning for/against whomever is in office. There are few actual nonpartisan journalists: CNN's Jake Tapper, FOX's Shepard Smith, but apart from that it's almost impossible to find someone on television that is willing to speak truth to power to whomever is in power. To my mind, MSNBC and CNN were virtual Hillary Clinton for President infomercials, and FOX serving as the de facto Trump campaign spokes-channel. 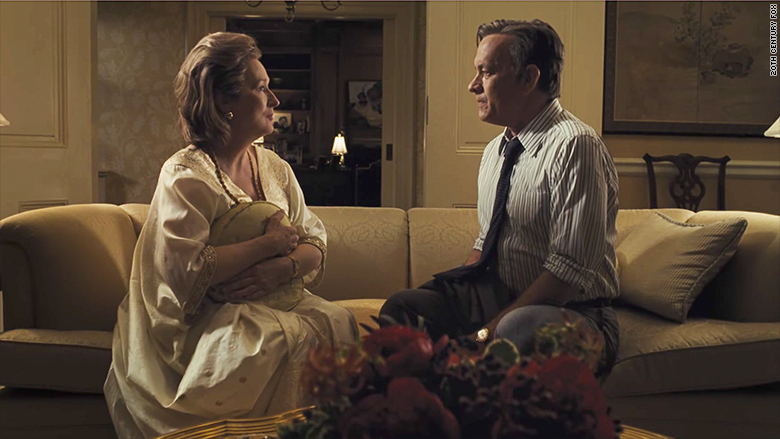 Streep is excellent as Graham, who works to balance her own doubts with efforts to assert herself. The long and complex scene where all the men around her via a 1970's teleconference (consisting of people at various phones) trying to win her to their side is especially good. If Steven Spielberg had a great cinematic moment in The Post, it's this one. I would say, however, that the best performances are not from our big-name leads. Instead, it's Odenkirk as the rumbled, weary, hangdog Bagdickian and Rhys as the frightened yet resolute Ellsberg that hold our attention. It almost makes one long for a film about them. 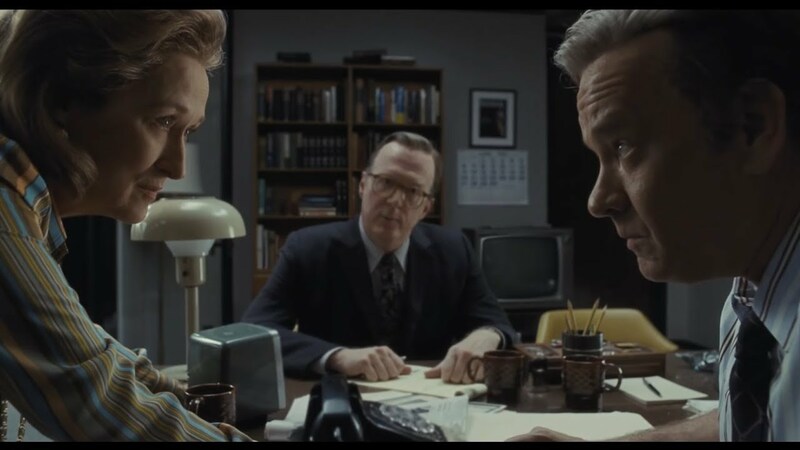 The Post is effective, well-directed, well-acted. In many ways, it is a good, solid film that I would recommend. It isn't as good as it could be (why is it that any time we have a Vietnam sequence, we have to have Creedence Clearwater Revival song playing, in this case Green River? ), and if people think it's allegory that's fine. That's the thing with allegory: you can read it as such if you wish to. Just remember, don't believe everything you read in the newspaper. Don't believe the Hype.